The Watch Hut and Baume & Mercier are offering the chance to win a custom built Baume & Mercier Indian Motorcycle bike, worth £15000. 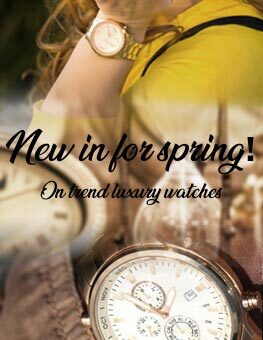 To be in with a chance of winning, purchase any watch from the Clifton Club Indian collection before 31st March 2019 for a chance to win! Void where prohibited or otherwise restricted by applicable law. 'WIN A BAUME & MERCIER INDIAN MOTORCYCLE SCOUT SIXTY COURTESY OF BAUME & MERCIER GIVEAWAY' (the "Giveaway") begins on 1ST April 2018 at 12:00 a.m. GMT+1/BST and ends on 31 March 2019 at 11:59 p.m. GMT+1/BST (the "Giveaway Period"). Sponsor: Richemont UK Limited, BAUME & MERCIER department (trading as BAUME & MERCIER), whose registered office is at 15 Hill Street, London, England, W1J 5QT. 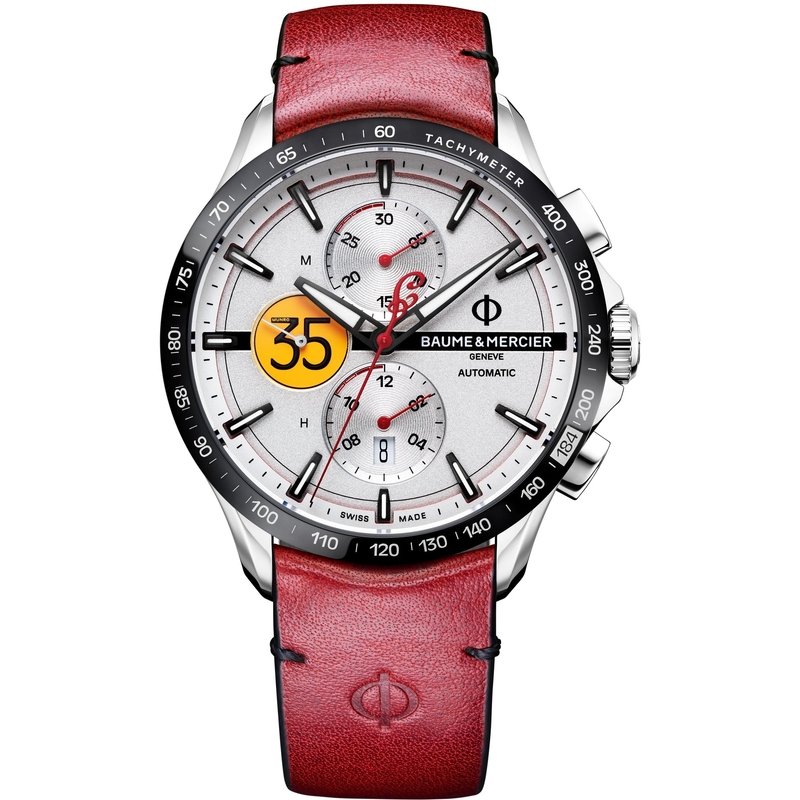 Eligibility: This Giveaway is open to legal residents of the United Kingdom (excluding Northern Ireland), who at the time of entry  possess the legal capacity to enter into contract, and  have purchased a BAUME & MERCIER Clifton Club Indian watch (reference M0A10404, M0A10403 or M0A10402) at one of the BAUME & MERCIER authorized retailers in the UK as per the list here below* during the Giveaway Period, and  are aged 18 or over ("you" or "Entrant"). Employees, officers, directors and agents of Sponsor and Harrods, their associated companies, professional advisors, advertising and promotions agencies are not eligible to win. The Giveaway is subject to all applicable UK national laws. By entering this Giveaway, you agree that you have read, understand and agree to be bound by these Official Rules ("Rules") and you further warrant that you have the legal capacity to enter the Giveaway and accept the Rules (i.e. that you are of sufficient age and mental capacity and are entitled to be legally bound in contract). The Sponsor reserves the right to disqualify any entrant that it reasonably believes does not have legal capacity. 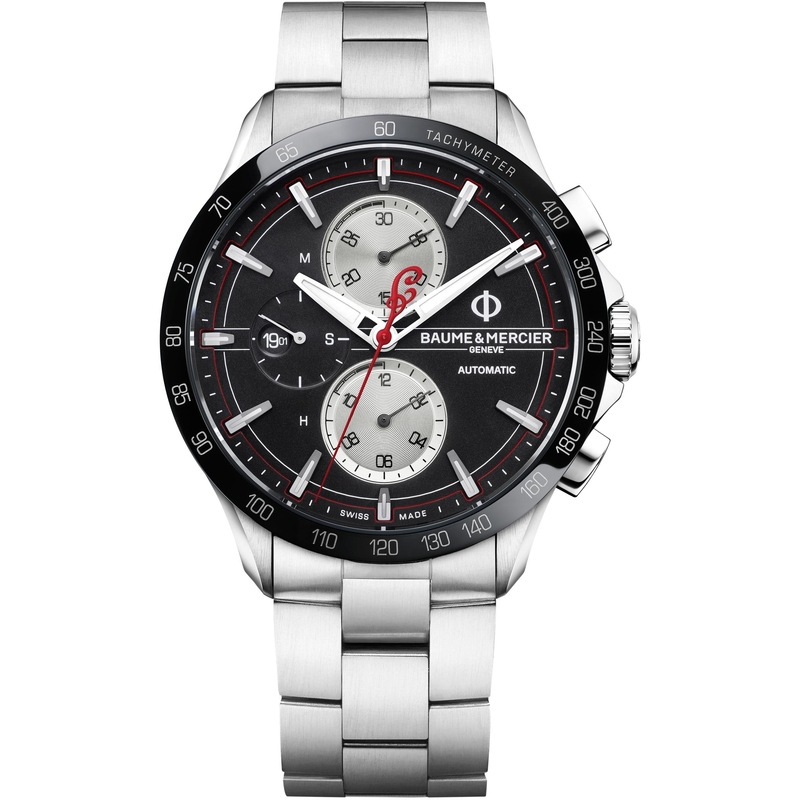 The Rules are available on BAUME & MERCIER's website at : https://www.baume-et-mercier.com/gb/en/legal/indian-terms-and-conditions.html as well at the Retailers’ websites. 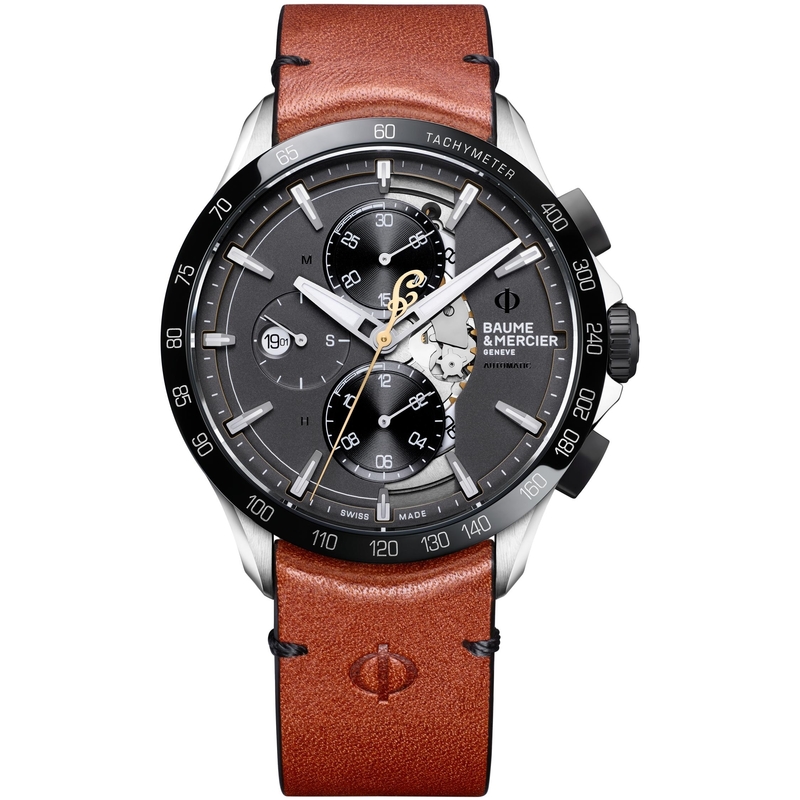 How to enter: During the Giveaway Period, after having purchased one of the three BAUME & MERCIER Clifton Club Indian watches, with reference M0A10404, M0A10403 or M0A10402 (“Watch”) during the Giveaway Period at one of the BAUME & MERCIER authorized retailers in the UK as per the list here below* (the "Retailers"), simply fill in the participation voucher available at the Retailers either instore or on some of the Retailers’ websites by providing your name, family name, e-mail address, date of birth, order number (which can be found on the invoice of the purchased BAUME & MERCIER watch), date and place of purchase and signature and ticking the acceptance box to take part in the Giveaway. Make sure you to fill in the participation voucher of the Retailer you purchased the Watch from and not any other one to take part in the Giveaway. Limit one (1) Entry per person. All Entries must be received during the Giveaway Period. Entrants understand and acknowledge they are providing information to Sponsor. All Entries and any copyright subsisting in the Entries shall become and remain the property of Sponsor. Sponsor, in its sole discretion, may accept a mistyped Entry. It is your sole responsibility to notify Sponsor in writing if you change your email address. Sponsor’s computer is the official time-keeping device for the Giveaway. In the event of a dispute, Entries will be deemed made by the authorized account holder of the email address at the time of Entry. Random Drawing: Sponsor will conduct a random drawing on or about 9 April 2019. The random drawing will be conducted by a member of the Sponsor’s Marketing Department in the presence of an independent person, whose decisions are final on all matters relating to this Giveaway. The potential winner will be informed by e-mail to Entrant’s e-mail address on or about 10 April 2019. If you are not the winner of the Giveaway, you will not receive an e-mail. Prize: the Winner will receive a BAUME & MERCIER Indian Motorcycle Scout Sixty (recommended retail price of 15,000 GBP). All costs and expenses associated with prize acceptance and use are the sole responsibility of the Winner, including taxes, MOT test, insurances and any other costs linked to the Prize. The Prize will remitted to the Winner at a location in the UK to be communicated on 10 April 2019 by Sponsor, where it will be collected by the Winner between 10 April 2019 and 10 May 2019. The Winner shall be present and available for a press presentation when collecting the Prize at the communicated location. If the Winner does not have a valid driving licence (Category A motorcycle licence) allowing him/her to legally drive the Prize, then the Winner will need to be accompanied by a holder of a valid driving licence (Category A motorcycle licence) when collecting the Prize. The Prize is non-transferable and no substitutions or cash redemptions are allowed, except at Sponsor's sole discretion. The Prize does not include any other incidental costs that may be incurred by Entrant to claim the Prize. The Winner is responsible for any costs or expenses associated with Prize acceptance and use not specified in these Rules as being provided. Sponsor is not responsible or liable in any manner if the Winner is unable to accept or use all or any portion of the Prize due to failure to qualify or comply with these Official Rules or any law, regulation or other rules that apply to acceptance, receipt, travel, fulfilment or use of the Prize. If the Winner fails to comply with these Official Rules in any way, the Winner may be disqualified and the Prize forfeited at any time and/or awarded to another Giveaway entrant, at the sole discretion of Sponsor. Sponsor is not responsible for any portion of the Prize that is delayed, postponed or cancelled for any reason, in which event that portion of Prize is forfeited in its entirety and no substitution will be provided, except as determined by Sponsor in its sole discretion. Sponsor reserves the right, in its sole discretion, to substitute the Prize with an item of comparable or greater value. The Prize is awarded "as is" with no warranty or guarantee, either express or implied. Limit one (1) Prize. Limitations: Use of any automated system to enter as determined by Sponsors in its sole judgment is prohibited and will result in disqualification at Sponsor's sole discretion. Sponsors, and their associated companies, subsidiaries, affiliates, directors, officers, employees, agents, professional advisors, and their advertising and promotions agencies ("Releasees") will not accept responsibility for any error, omission, interruption, deletion, defect, delay in operation or transmission or mail delivery, communications-line failure, theft, destruction, alteration of, or unauthorized access to Entries, or Entries that are altered, delayed, deleted, destroyed, forged, fraudulent, illegible, improperly accessed, inaccurate, incomplete, interrupted, irregular in any way, late, lost, misdirected, multiple, non-delivered, stolen, tampered with, unauthorized, unintelligible or otherwise not in compliance with these Rules; or for lost, interrupted or unavailable network, server or other connections; viruses; bugs; miscommunications; failed phone, computer hardware or software or telephone transmissions; technical failures; unauthorized human intervention; traffic congestion; garbled or jumbled transmissions; undeliverable emails resulting from any form of active or passive email filtering; insufficient space in entrant's email account to receive email; or other errors of any kind, whether due to electronic, human, mechanical, printing, production or technical errors or other causes; even if caused by the negligence of any of the Releasees. General Conditions: By entering this Giveaway and/or accepting any prize you may win, you agree, represent and warrant that:  you meet the eligibility requirements of the Giveaway as detailed in these Rules, and that all personal information you submit to Sponsor is true, complete and accurate in all respects;  you will be bound by the Rules and Sponsor's decisions regarding the Giveaway, which shall be final in all respects;  your Entry becomes solely Sponsor's property and will not be acknowledged or returned;  to the extent permitted by law, you release and hold harmless Releasees from any and all liability for any claims, costs, injuries, losses or damages of any kind directly or indirectly caused by your participation, including participation in the Giveaway or any Giveaway-related activity or travel or from any interaction with, or downloading of, computer Giveaway information, the unauthorized or illegal access to personally identifiable or sensitive information or the awarding, delivery, acceptance, possession, use, or misuse of the Prize, including without limitation, death and bodily injury;  the Releasees do not make any representation, warranty or guarantee, express or implied, relating to any Giveaway or the Prize;  the potential winner's acceptance of the Prize constitutes the grant to Releasees and assigns of an unconditional right to use the Winner's name, address (city and state only), voice, likeness, photograph, biographical and Prize information, statements about the Giveaway and/or live and taped performances of interviews for any programming, publicity, advertising and promotional purposes without additional compensation or notice, except where prohibited by law;  in the event viruses, bugs, unauthorized human intervention, Acts of God, acts or regulations of any governmental or supra-national authority, war, national emergency, accident, fire, riot, strikes, lock-outs, industrial disputes, acts of terrorism or other matters beyond Sponsor's reasonable control, corrupt, prevent or impair the administration, security, fairness or proper play of the Giveaway, so that it cannot be conducted as originally planned, Sponsor has the right, in its sole discretion, to modify the Rules or to cancel, modify, terminate or suspend such Giveaway; and in such event, to select a potential winner by such method as Sponsor in its sole discretion shall consider equitable;  the Releasees are not responsible for typographical or other errors in the offer or administration of the Giveaway, including but not limited to: errors in the advertising, Rules and selection and announcement of the Winner;  the Releasees are not responsible for any inability of the Winner to accept or use any prize (or any portion thereof) for any reason;  the Releasees are not responsible for changes to the Giveaway website form that may interfere with the Giveaway or your ability to timely enter;  Releasees are not responsible for any failure of delivery of Winner notification;  neither Releasees nor any service providers are responsible for incorrect or inaccurate transcription of Entry information, or for any human or other error, technical malfunctions, lost/delayed data or voice transmission, omission, interruption, deletion, defect, line failures of any telephone network, computer equipment, software, inability to access any online service or Website or to complete a telephone call or facsimile transaction, or any other error or malfunction, or late, lost or misdirected mail, or any injury or damage to participant’s or any other person’s computer related to or resulting from participation in this Giveaway; and  Releasees will not be responsible for Acts of God, acts of terrorism, civil disturbances, work stoppage or any other natural disaster outside their control that may cause the cancellation or postponement of the Prize. CAUTION: ANY ATTEMPT BY AN ENTRANT OR ANY OTHER INDIVIDUAL TO DELIBERATELY DAMAGE ANY WEBSITE ASSOCIATED WITH THIS GIVEAWAY, TAMPER WITH THE ENTRY PROCESS, OR OTHERWISE UNDERMINE THE CONTENT OR LEGITIMATE OPERATION OF THE GIVEAWAY MAY BE A VIOLATION OF CRIMINAL AND CIVIL LAWS AND SHOULD SUCH AN ATTEMPT BE MADE, SPONSOR RESERVES THE RIGHT TO COOPERATE IN THE PROSECUTION OF ANY SUCH INDIVIDUAL(S) AND TO PURSUE ALL REMEDIES TO THE FULLEST EXTENT PERMITTED BY LAW. Governing Law; Disputes: These Rules shall be governed and construed in accordance with the laws of England and Wales and the Courts of England and Wales shall have exclusive jurisdiction to deal with any dispute in relation to this Giveaway of these terms and conditions. Publicity: If selected as Winner of this Promotion, you expressly agree, in response to any reasonable request by the Sponsor, to be available for participation in any event organized around the presentation of the Prize, including a visit to Sponsor's facilities or other location, and consent to being filmed, interviewed and photographed in connection with the foregoing. You expressly agree that if selected as Winner of the Promotion, all video, photographs and interview material taken may be used by Sponsor in any media, for Sponsor's communication and marketing purposes. Sponsor reserves the right to use, and you expressly agree that Sponsor may use the name and/or pseudonym of the Promotion Winner and/or all photographs and films taken of the Promotion at Sponsor's facilities and any event that may be organized at the discretion of Sponsor, and on the Internet, including without limitation Sponsor's websites, Sponsor's social networking pages on Facebook, Pinterest, Twitter, YouTube, and Instagram, and all other Sponsor advertising and publicity materials. If selected as Winner of this Promotion, you hereby grant to Sponsor the non-exclusive right to use and dissemination to reproduce your visual likeness, voice or any other attribute of your personality as it appears in any video or photograph taken at any event that may be organized in relation to the Promotion at the discretion of Sponsor, without compensation. Winner and Contact Information: Any questions or comments regarding this Giveaway must be directed to Sponsor. To obtain the name of the Giveaway Winner, send a self-addressed stamped envelope to Richemont UK Limited, BAUME & MERCIER department, Walmar House, 296 Regent Street, London W1B 3AP, Attn: Tania Moalla Gil, after 10 April 2019. Requests received after 90 days following the end of the Giveaway Period may not be fulfilled. Miscellaneous: Any provisions herein found by a court to be void or unenforceable shall not affect the validity or enforceability of any other provisions. Any such invalid or unenforceable provision shall be replaced by the parties by such valid and enforceable provision that corresponds as closely as possible to the original intent of the invalid or unenforceable provision.